A partnership between a council and a university could pave the way for an educational link-up in the future while it provides a business focus in the present. Leeds Beckett University and Calderdale Council have established the University Business Centre at Piece Mill, Halifax, to encourage and promote businesses to locate in the town. Members of Calderdale Council’s Place Scrutiny Committee heard it offered space for businesses ranging from a hotdesk rental for an hour, day or week to full office space, with an open space which could be utilised for anything from adventure programmes to workshops and conferences. While it was fulfilling an important business role in the present it might also offer an educational one in the future, members of Calderdale Council’s Place Scrutiny heard. Coun Helen Rivron (Lab, Ovenden) asked if the centre might deliver higher education provision. Mark Thompson, the council’s Director for Economy and Environment, said: “We have started with that conversation, also with other universities too. “It’s an interesting aspiration and other towns have been successful in this, for example Buxton has an outpost of Derby University and Scarborough surprisingly has an outpost of Coventry University. “Leeds Beckett has shown initiative in coming to Calderdale and they are open to a conversation about those developments in the future,” he said. Coun Josh Fenton-Glynn (Lab, Calder) asked about occupancy levels and was told a range of businesses used the centre – for example, it had 30 hotdesk spaces for hire, even for as little as one hour in terms of time. A primary aim was to encourage businesses looking for somewhere to locate to do so min Halifax, including people who lived in Calderdale but might think they needed to locate in a city like Manchester or Leeds. Growing the economy was an important aim of the centre. A spokeswoman said: “We are trying to introduce a range of organisations from outside to come in. “Clearly part of the ethos is to look at empty properties we have in Halifax, how they can be used and could they be the catalyst to encourage people to start up their businesses in these spaces,” she said. Coun Fenton-Glynn said there had been some disquiet about business rates for the upcoming Clifton Enterprise Zone going to Leeds and inquired about the rates in this case. Mr Thompson said they would come to Calderdale in the normal fashion. 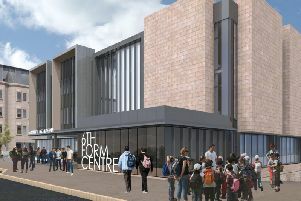 Coun Jenny Lynn (Lab, Park) was concerned the centre might sideline previous projects the council had supported, such as the Elsie Whiteley Centre. Mr Thompson said it was not the intention to take anything from one project and lead it to another and when the centre was established there was awareness of this from the start. “We need to grow the business offers, not just bounce it around from building to building,” he said. Board chair Coun Steven Leigh (Con, Ryburn) said: “I hope in due course that university education would be welcomed into Halifax if we possibly can. “The entire conceptfor our town and borough is a brilliant development,” he said.